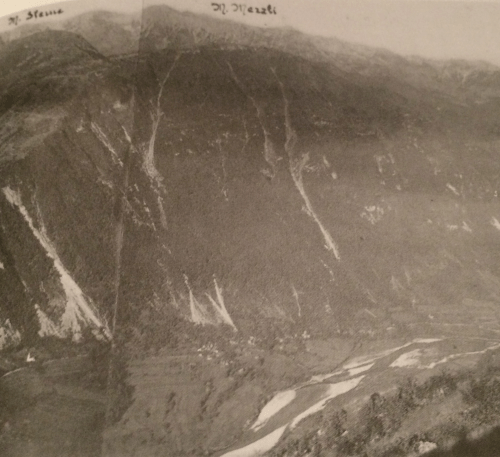 The Fourth Battle of the Isonzo is running down, but the Italians are still pressing the Austro-Hungarians defending Tolmein and Mount Mrzli. At great cost the Italians have managed to get close to the enemy front line, in some places as close as 8 metres. But of course the gradient on the mountainside means that they are below the Austro-Hungarians. As well as grenades, the defenders are able to throw rocks and tins filled with excrement down onto the unfortunate Italians. Try as they might, the Italians are unable to carry the enemy line. 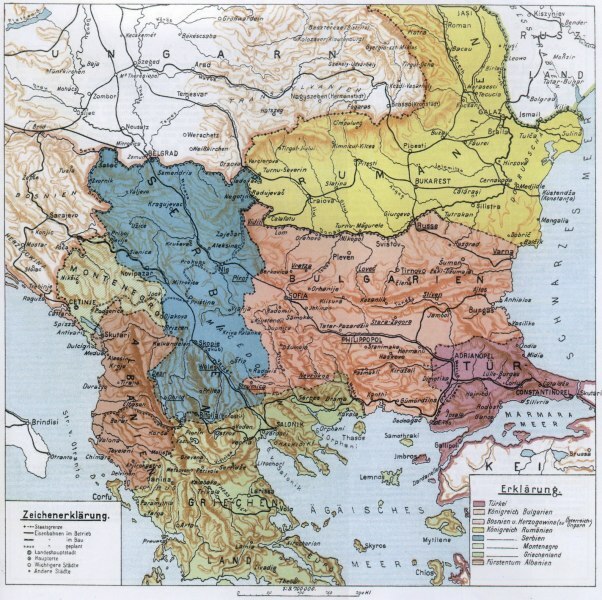 Serbia has been invaded by Austria-Hungary, German and Bulgaria. The Serbian army has conducted a fighting retreat and now finds itself at bay in Kosovo, on the border with Albania. Bulgarian forces have cut them off from the Greek border, so there is no prospect of the Serbs retreating to the Allied-held port of Salonika. Kosovo is the site of the 14th century Battle of Kosovo, at which a Serbian army fought the Turks until it was annihilated. The historical resonance makes Kosovo a good place for today’s Serbian army to stage a last stand against the nation’s invaders. But to do so would mean its elimination as a fighting force, possibly bringing an end to Serbia’s existence. Field Marshal Putnik, the Serbian commander, decides that the army must retreat to ensure the continuance of the Serbian nation. But where can the army retreat to? With the road to Greece blocked there is only one option: the Serbs will have to retreat to the coast through the mountains of Albania. Albania is neutral in the war engulfing Europe, but the country is in a state of anarchy and unable to offer organised resistance to this violation of its sovereignty. Bandits and partisans might trouble the Serbs but Putnik is confident that his army will be able to push through. He orders the retreat through Albania to begin at once. 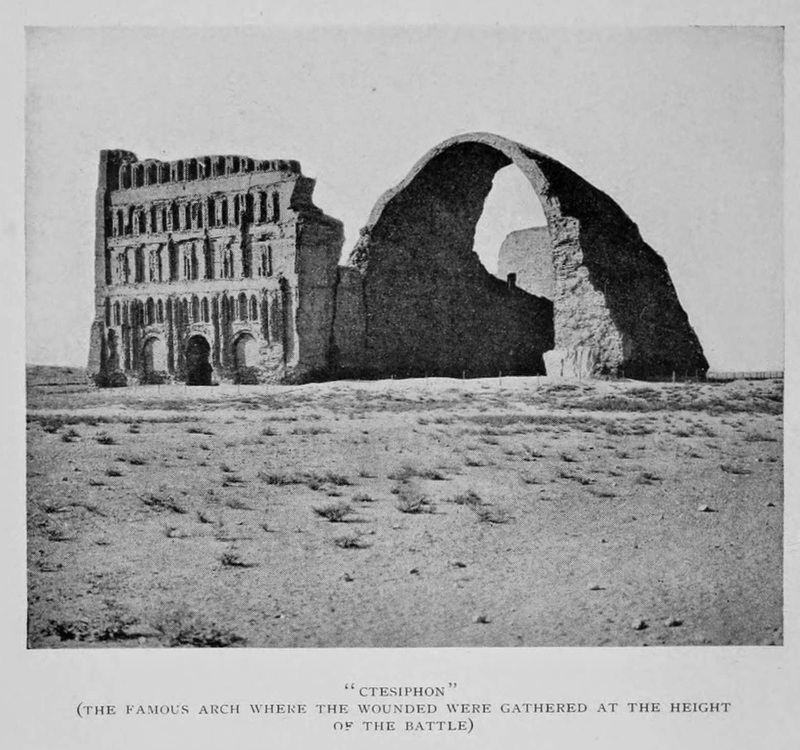 In Mesopotamia brutal fighting continues at Ctesiphon, near the town of Salman Pak. The Turks under Colonel Nurredin are making a stand, determined to prevent the British taking Baghdad. 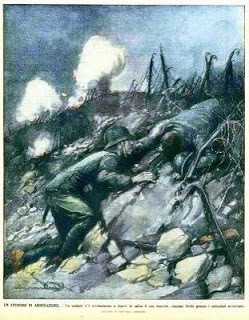 The British have managed to overrun the Turkish first line of defences but have suffered ruinous casualties in doing so. They are unable to dislodge the Turks from their second line and are being roughly treated by Turkish counterattacks. The casualty levels suffered by both sides are horrific, with great loss of life and both sets of medical corps being completely overwhelmed by the numbers of wounded. In numerical terms the Turks have suffered more, but they are able to bring up reinforcements from Baghdad. The British have no reserves to hand and their commander, General Townshend, knows that there are no reinforcements for him in Mesopotamia: it will be at least January before fresh troops arrive in the region. Knowing that he cannot break through the Turks at Ctesiphon and fearing that his army will be destroyed if the battle continues, Townshend decides to retreat. His army will make a fighting withdrawal to Kut al-Amara. Behind that city’s defences they will hunker down and await reinforcements. Ctesiphon is a triumph for the Turks, albeit one gained at terrible cost in human lives. They have shown that they can defeat a British army in the field and they have done so without the presence of German advisors. Now Nurredin prepares to pursue the British, hoping to complete the annihilation of the enemy force. Serbia is being invaded by the armies of Germany, Austria-Hungary and Bulgaria. A small French force has advanced north from the Greek port of Salonika, hoping to keep open a line of retreat for the Serbs. However the Bulgarians have managed to interpose themselves between the Serbian army and the French. Now at Krivolak the French themselves come under increasing attack by the Bulgarians. Their commander, Maurice Sarrail, had called for his men to be reinforcement but alas the Allied cupboard is bare. 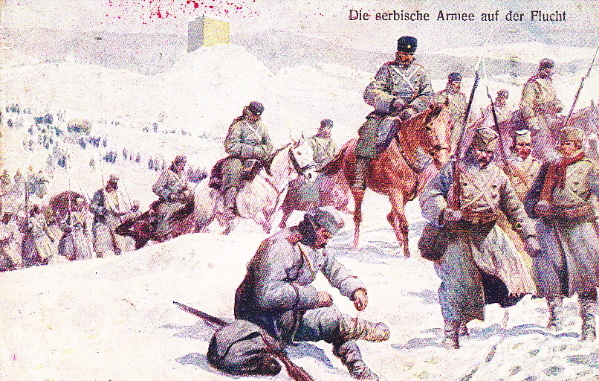 Now his men are forced to begin a fighting retreat back to Salonika. Their mission to aid the Serbs has failed. Italian forces have launched so many failed offensives along the Isonzo that it is easy to lose count of which battle we are in now. It is the Fourth, raging for nearly two weeks. As before, the Italian assaults have made minimal gains, paid for in copious amounts of blood. Now the offensive is beginning to run out of steam, as the worsening weather and the sufferings of the men make it harder to sustain the attacks. Back at army headquarters in Udine, 40 kilometres from the front, General Cadorna thinks that this is no time for the assault troops to start slacking off. He orders one last push against Austro-Hungarian positions defending Tolmein and Mount Mrzil. A breakthrough or even a minor gain here would allow him to claim the battle as some kind of success. Unfortunately, the Austro-Hungarian defences, the elements and the terrain are all too much for Cadorna’s bedraggled troops. Once again, despite great loss of life, there is no breakthrough. The Senussi religious brotherhood are based in Libya and have been fighting against the Italian occupation of their country. Now, though, under the influence of Turkish agents they have set their sights on Egypt, where Britain rules indirectly through a client king. The Turks and the Senussi hope to incite a revolt against the British by the Muslims of Egypt, thereby cutting the Suez Canal route from Britain to India. Today Senussi raiders attack the town of Sidi Barrani in western Egypt. The town is defended by a mixed garrison of Egyptian and British troops, the latter mostly from India. Initial attacks by the Senussi are repulsed but the defenders then decide to retreat away eastwards to a safer location. 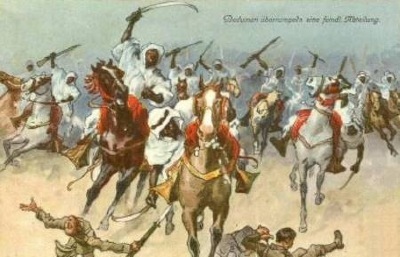 In the confusion of the withdrawal, however, a unit of Egyptian troops deserts en masse to the Senussi, bringing with them their equipment and camels. British concerns about the reliability of Egyptian troops appear justified. Other Egyptian units are sent away to the east as quickly as possible to prevent them also deciding to join the Senussi. 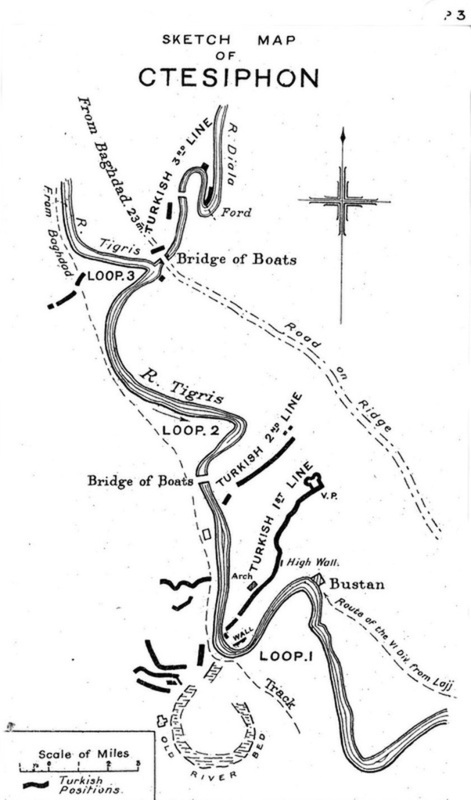 In Mesopotamia a British force is advancing up the Tigris towards Baghdad. The Turks are making a stand near the town of Salman Pak, not far from Baghdad, with their front line centred on the Arch of Ctesiphon, a Persian monument of cyclopean proportions. The British have advanced quickly (perhaps too quickly) but they are confident that they will be able to smash this Turkish force as they have dealt with others on the way up from Basra. The British however have little information on the constitution of the enemy’s army. After losing a number of aircraft to ground fire the British largely called a halt to reconnaissance flights. Yesterday they sent two aircraft to have a look at the Turkish defences. One pilot returned, spotting nothing out of the ordinary. The other notices that the Turks have brought up a large reserve formation, but he is shot down and captured before he can report this information. Unaware of the enemy’s strength, today the British attack. If they expect the Turks to collapse they are sorely disappointed. The Turks hold their lines and rake the British with gunfire. After several hours of brutal fighting the British manage eventually to take the Turkish front line, but then they are hit by a devastating counter-attack from the Turkish reserve force. Fighting continues into the night. Both sides have suffered greatly in the day’s fighting. Some 40% of the British force are casualties, with Turkish casualties as high as 50% of their men. The battlefield is littered with dying and wounded men for whom nothing much can be done. And the battle is not over yet.